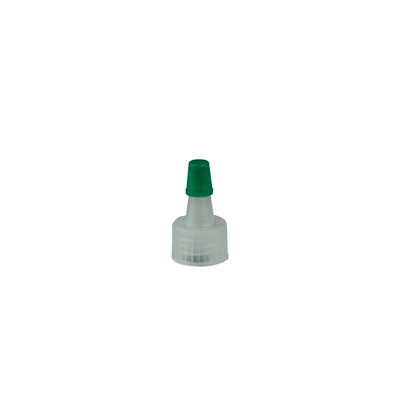 15/415 Blind Natural Yorker w/Green Tip | U.S. 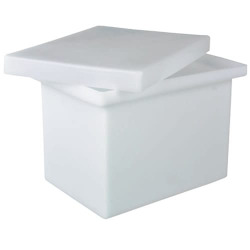 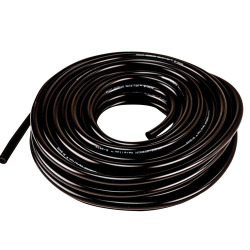 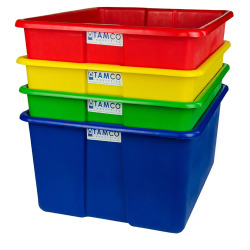 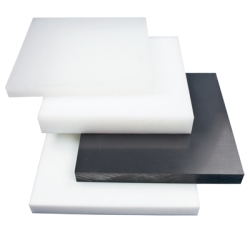 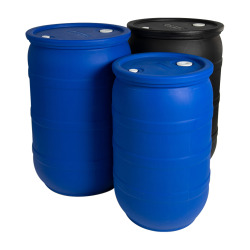 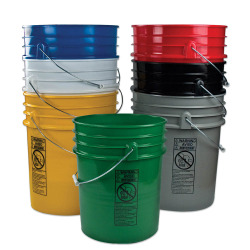 Plastic Corp.
LDPE (low density polyethylene) plastic Yorker Caps are blind (have no hole) and the tops must be trimmed to dispense through them. They come with replaceable Green Sealing Tips to keep bottle contents inside when not in use. 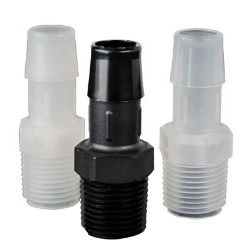 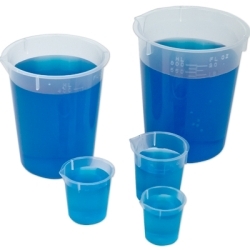 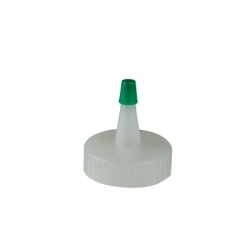 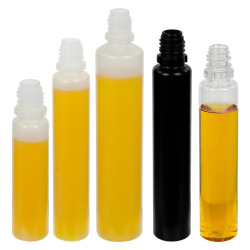 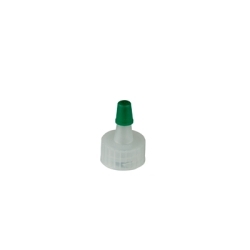 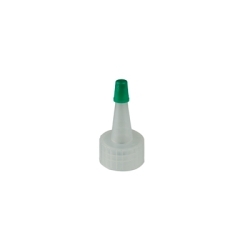 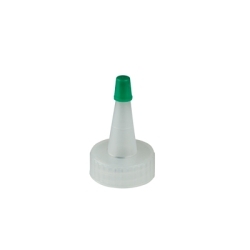 These Yorker Caps w/ Green Tips are ideal for dispensing small amounts of liquid or gels such as condiments, syrups, glues, and more from squeezable and non-squeeze bottles.